A complete guide for Titanfall. Using this guide for Titanfall you will be able to know more about Ordinances/Ordnance, tactical abilities, perks, cheats, burn cards, find ways to earn bonus experience points/XP and level up/rank up faster, weapon mods, challenges, regeneration, prestige, weapons and mods, maneuvers, best loadouts for pilots and titans, beginner tips, how to get High KD and stay alive longer, and general fixes for crashes and errors. If you have any questions let us know in the comments section below. 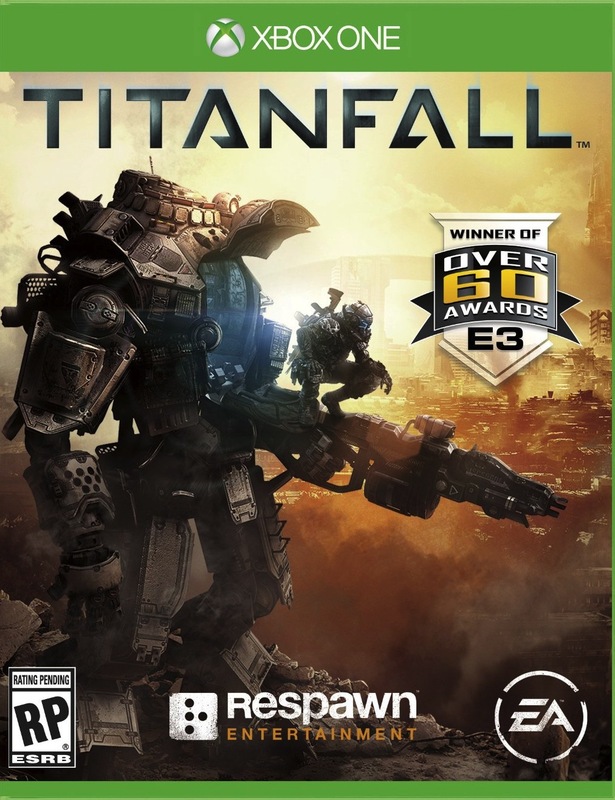 Titanfall is developed by Respawn and published by Electronic Arts. It will launch on the Xbox One, Xbox 360 and PC. Frag Grenade: These come packed in with delayed fuse which may be a big help under different fighting conditions. Satchel Charge: More powerful than Frag Grenade, these sticky explosives can cause massive amount of destruction. They can be triggered remotely. Arc Grenade: This will disturb the vision of titan and pilot. Your enemies should be in range though. Arc Mine: This is kind of similar to C4, although they are much bigger than size. They are the combination of frag grenades and arc grenades. They can be triggered from a distance. Rocket Salvo: These are used to fire a swarm of rockets..
Slaved Warheads: This follows your tracking reticule until it hits your target. Cluster Missile: A combination of Rocket Salvo and Slaved Warheads, Cluster Missile will first hit the target followed by a swarm of missiles. Multi-Target Missile System: This is used for hitting multiple targets at once. As the name suggests these abilities give ‘tactical advantage’ to the Pilots and Titans in the game. Cloak: Makes the pilot invisible for a while. Heal: Pilot will be able to heal itself. Sonar: Used for active radar pulse. Vortex Shield: As the name indicates this is a shield and deflects munitions. Electric Smoke: This will create a electric smoke in the vicinity. Particle Wall: A massive radial damage caused by a wall of explosives. Auto Eject: Will auto eject your pilot when the titan is on the verge of getting destroyed. Dash Recharge: Your dash recharges quickly. Dead Mans Trigger: All your planted explosives will detonate when you are killed. Survivor: You lose less health, and at a slower rate. Guardian Chip: Auto-Titan will engage enemies with greater accuracy. Quick Reload Kit: Reduces reload time for your weapons. The Ice Pick: Players can hack turrets and Spectres quickly. Core Accelerator: Titan’s Core Ability charges more quickly. Tactical Reactor: Tactical Abilities like Vortex Shield, Electric Smoke, and Particle Wall regenerate faster. Minion Detector: Displays Grunts and Spectres on the map. Run and Gun: Allows the player to fire small arms while running. Regen Booster: Regenerates your health in a Titan. Stealth Kit: Footsteps become silent, and jump will not be exhausted. Big Punch: Titan’s melee attack power is significantly increased. Enhanced Parkour Kit: Your agility will increase and you will be run on walls for a longer period. Amped DMR: This will replace your primary weapon with longbow-DMR sniper rifle. Amped Sidewinder: This will replace anti-titan weapon with Sidewinder. Amped Smart Pistol: This will replace your primary weapon with Smart Pistol. Double Agent: Grunts, Auto-Titans, Spectres & Turrets will not try to kill you. Echo Vision: Radar pulse is permanent. Fast Learner: Earn double XP. Ghost Squad: You are cloaked as a pilot. Map Hack: Minimap vision is fully on. Amped LMG: This will replace your primary weapon with LMG. Amped Mag Launcher: This will replace anti-titan weapon with Mag Launcher. Amped P2011: This will replace sidearm weapon with P2011. Active Camo: This allows for a cloak that lasts longer. Adrenaline Transfusion: This adds Stim effect which allows for faster running. Amped Archer: This burn card will replace anti-titan weapons with Titanhammer rockets. Amped C.A.R. : Replaces your weaker side arm with C.A.R. SMG. Amped Charge Rifle: This burn card will replace anti-titan weapon with a charged rifle. Amped R-101C: This will replace your primary weapon with R-101C. Amped R-97: This will replace your primary weapon with R-97. Amped RE-45: This will replace your sidearm weapon with RE-45. Massive Payload: Titan causes massive nuclear explosion. Most Wanted List: This will reduce build time and you will earn more XP when you kill a pilot. Outsource: Build Time and Titan Core Charge reductions. Packet Sniffer: Radar pulses frequently. Personal Alarm System: Replace ordinance weapon with infinite arc mines. Prosthetic Legs: Faster pilot speed. Amped Wingman: This will replace your sidearm weapon with match trigger Wingman. Aural Implant: Replace Pilot Tactical Ability with active radar pulse. Bottomless Frags: Replace ordinance weapon with frag grenades. Amped EVA-8: This will replace your primary weapon with EVA-8 shotgun. Amped G2A4: This will replace your primary weapon with G2A4. Amped Hemlock: This will replace your primary weapon with Hemlock. Amped Kraber: This will replace your primary weapon with Kraber. Decisive Action: You will receive 40 seconds off build time or titan core charge. Rematch: Player can respawn at the same match here he/she died. Reserve Ogre: Call in the Ogre Titan. Satellite Uplink: For every ten seconds, enemies will be displayed on the map. Select a Burn Card: Next burn card to be selected. Thin The Ranks: This will reduce build time and you will earn more XP when you hit a grunt. Titan Salvage: This will reduce build time and you will earn more XP when you destroy a titan. Urban Renewal: This will reduce build time and you will earn more XP when you kill a spectre. Wifi Virus: This will capture the spectres. Spider Sense: When enemy is near you, a warning will be given. Super Charger: Titan Core ability will be pre-charged. AOG: This will give the player a 2.4x sight. Burst Fire: Fires three rounds of ammunition in one go. Counterweight: Gives higher accuracy while navigating. Enhanced Targeting: Helps in locking on. Extended Magazine: Magazine capacity increases. Fast Reload: Reduces time reduces. High-Capacity Drum: Magazine capacity increases. Instant Shot: Disables build up. Match Trigger: Fire rate won’t be considered. Mine Field: Grenades can be put in the ground. Quick Shot: Shots charge faster. Rapid Fire: Rate of fire increases. Recoil Compensator: Reduces gun recoil. Scatterfire: Rate of fire is increased. Slammer: Ramps up rodeo damage. Stabilizer: Stabilizes grip when scoping. Once again, Titans and Pilots both have a different arsenal of weapons. Maneuvers are basically special moves that can be pulled off by the Titans and Pilots. Pilots can double jump, wall run, rodeo and mantling whereas Titans specialize in dodging, ejecting the pilots and ripping your enemy titan. The video guides below will take you through some basic tips and tricks in Titanfall. You need to make sure the following ports are not blocked. This will ensure that you have lag free connection. Make sure you have the correct ports as shown above. Also make sure that your anti-virus/firewall is not blocking the game. This is an odd issue that can be resolved by repairing your Microsoft office. Delete temporary files via Origin. Check this link. May fix the issue for you.